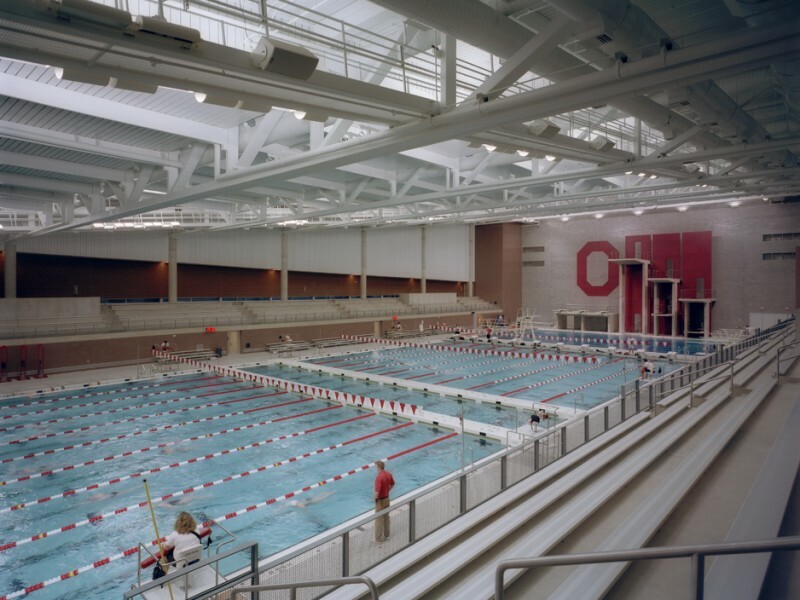 The challenge facing Moody Nolan and design architect Antoine Predock Architect was how to place a massive, 560,000 sq. 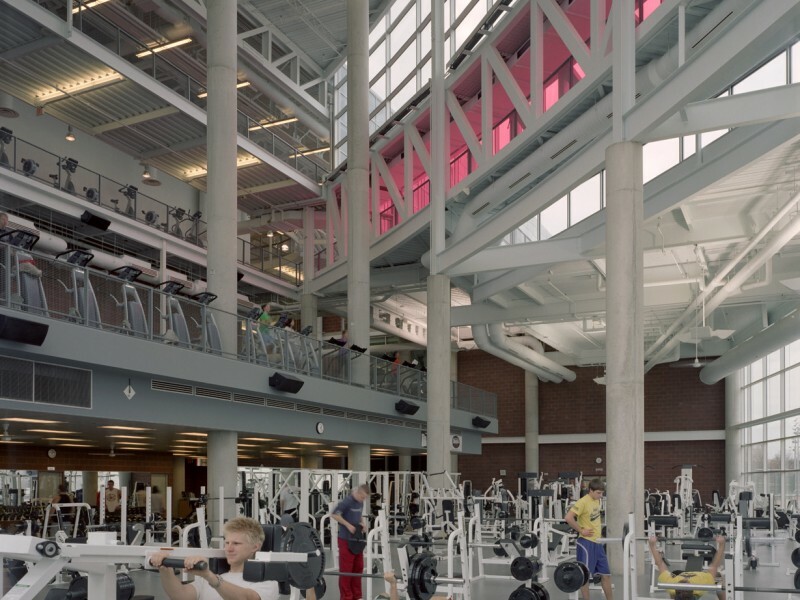 ft. structure in the heart of an established campus without disrupting the pedestrian flow or overpowering the surroundings. 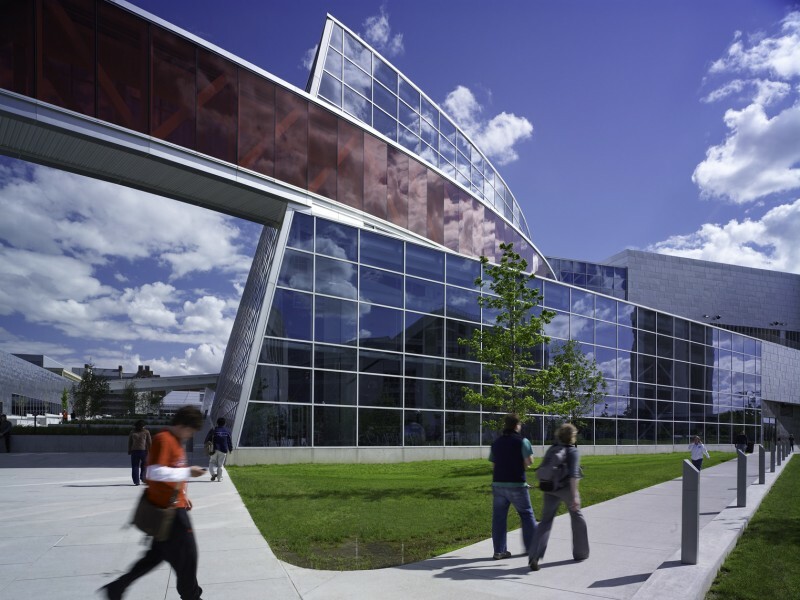 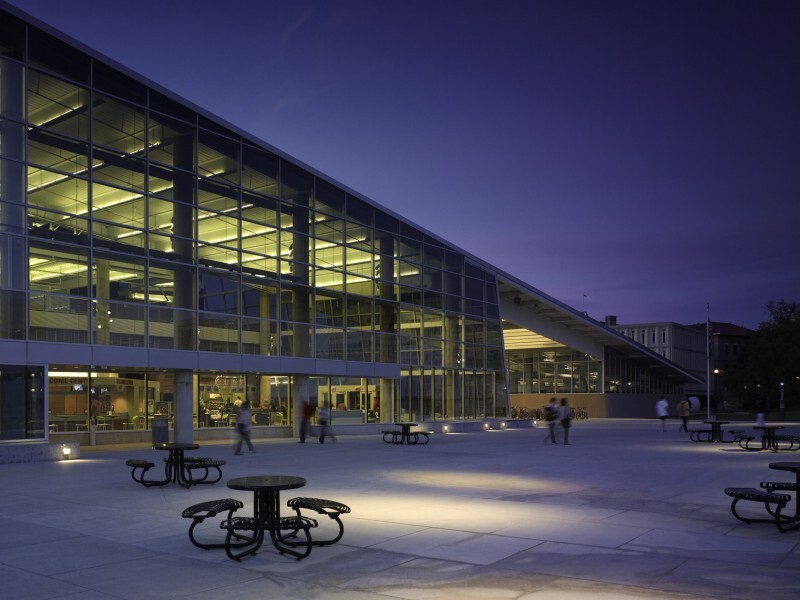 Adding to this challenge was the client’s and architect’s desire to enhance the overall campus environment by providing both indoor and outdoor spaces that would further the sense of campus community. 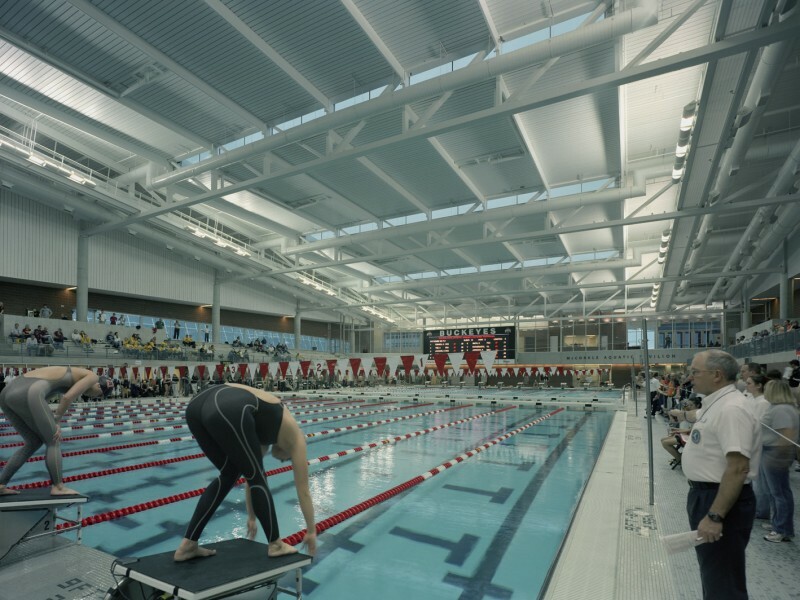 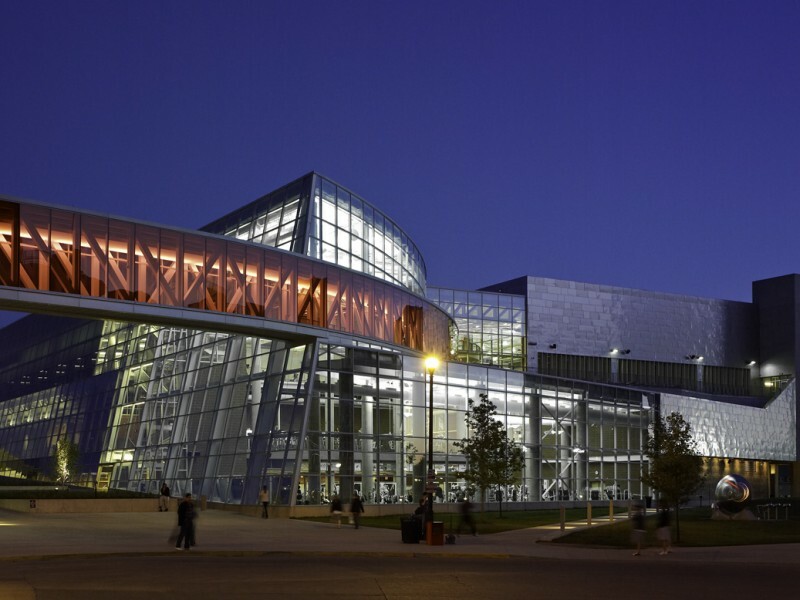 Within this megastructure are an access controlled recreation center, an aquatic complex with both a competition natatorium with spectator seating and a separate recreational natatorium, and an academic unit with classrooms, laboratories and faculty office spaces. 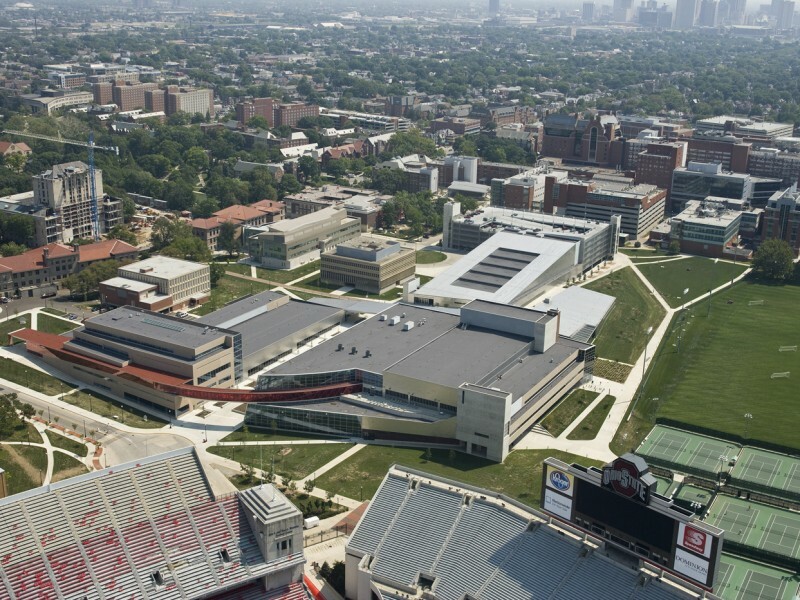 Attached to the complex is a 600-car garage serving both the facility and the greater campus. 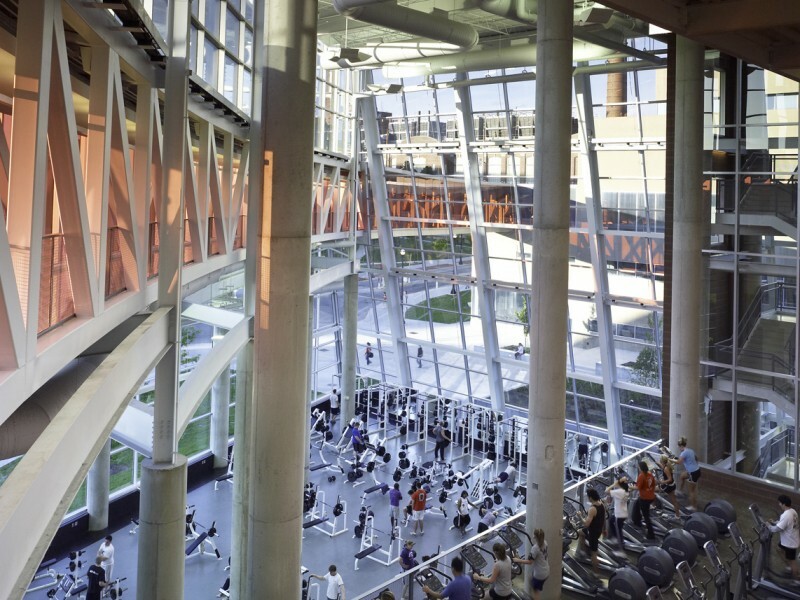 Site planning issues drove the basic design concept of a cluster of structures that maintain the campus scale and facilitate circulation through the site. 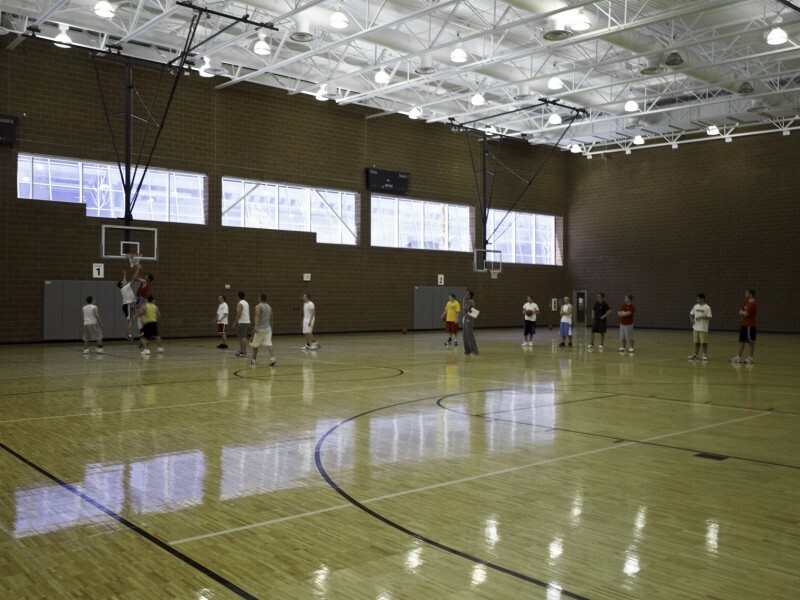 This concept was particularly difficult to achieve because of the need for a single controlled entry into the recreation center, a major building component with elements in all of the “separate” structures. 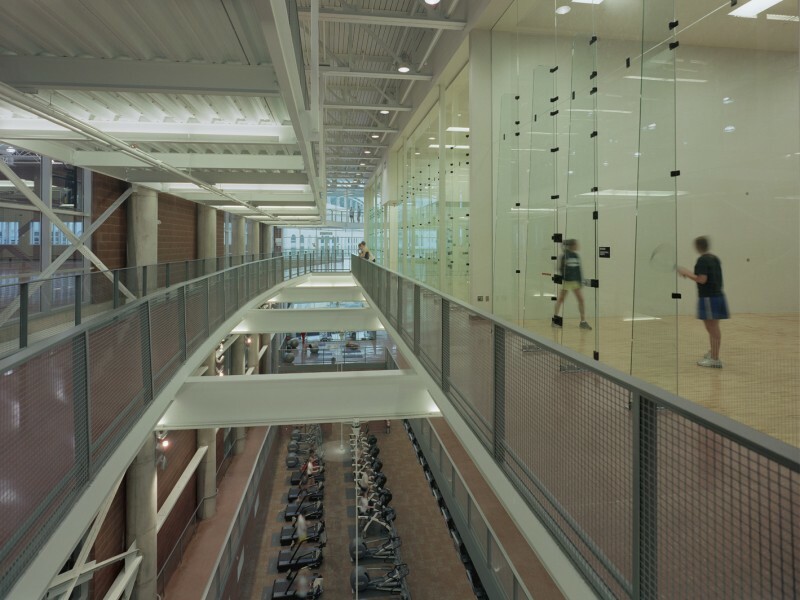 By taking advantage of the natural slope of the land, the design allows passage on ramps, steps and plazas over the ground level of the building allowing a single controlled point of entry to the recreation center at a second level with spokes at the level below accessing all parts of the structure. 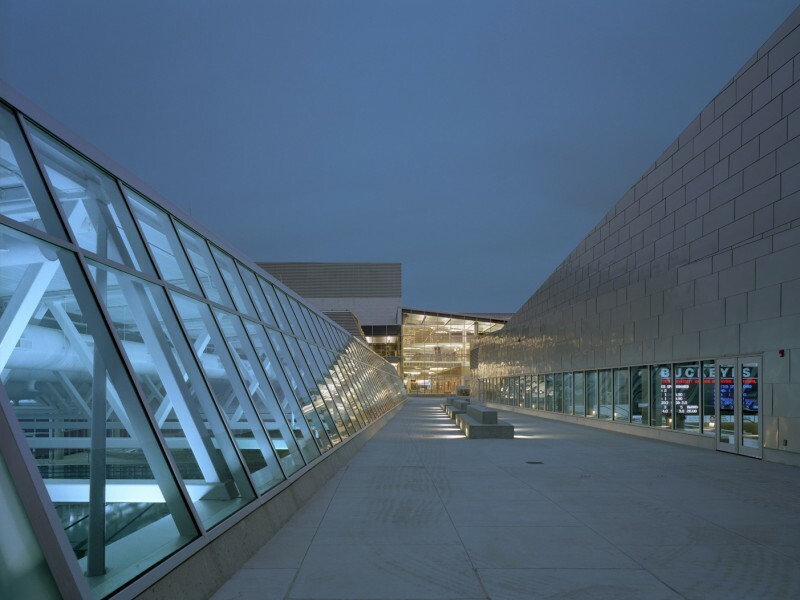 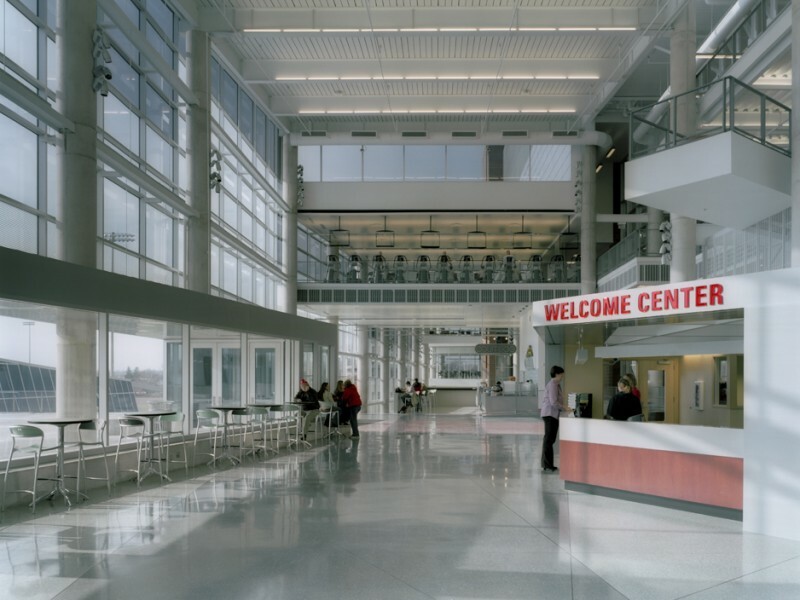 This unusual “Entry from above” solves both the functional and aesthetic problems inherent in so large a facility.